I have a set of email subject line formulas I constantly use, both for my clients and when promoting my business. They get subscribers to click. And help me boost traffic and engagement. And today, I’m going to share some of the best-performing ones with you. So, if you’re struggling with writing subject lines that will compel subscribers to read your emails, this post is definitely for you. Bonus: Download the email subject line cheat sheet that will show you how to increase the open rates of your emails. 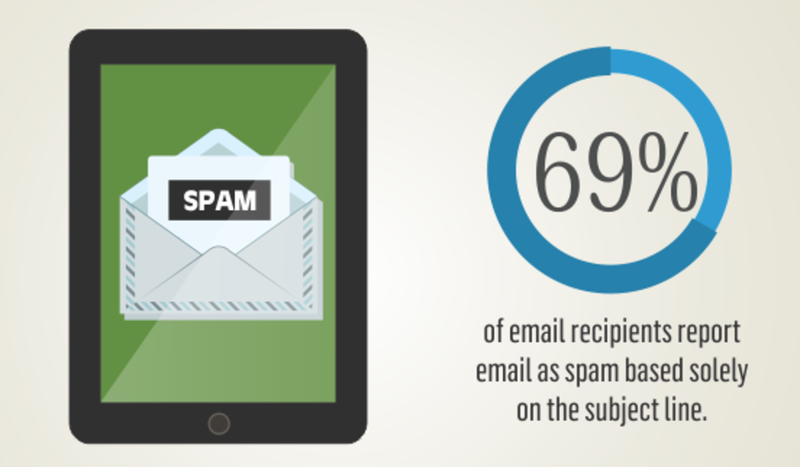 69% of recipients report messages as spam based solely on the subject line (source). And 47% open emails based entirely on the subject line (source). As it turns out, email subject lines can have such an impact on recipients, that sometimes it pays off more not to have a subject line at all! According to the guys at Sidekick, emails that contained no subject line get opened 8% more often than those with a subject line (source). But of course, not writing a subject line isn’t really an option. At least not for every email. So why all the fuss about subject lines? And yet… writing them is so intimidating at the same time. So let’s take a look at some email subject line formulas that will help you compel more subscribers to open your emails. As its name suggests, this formula focuses on outlining the reasoning behind asking your audience to do something. It works particularly well for emails that promote anything that lists features, benefits, or steps a person needs to take to achieve certain benefit. How to subject lines work so incredibly well because they offer a promise of a solution or advice. Simply. PRO TIP: If you want to boost this formula’s effectiveness, even more, add the phrase “this is” at the start of the subject line. For example – This is how to boost your email open rates. It will make the headline sound more firm, and even more reassuring about the solution it promises. 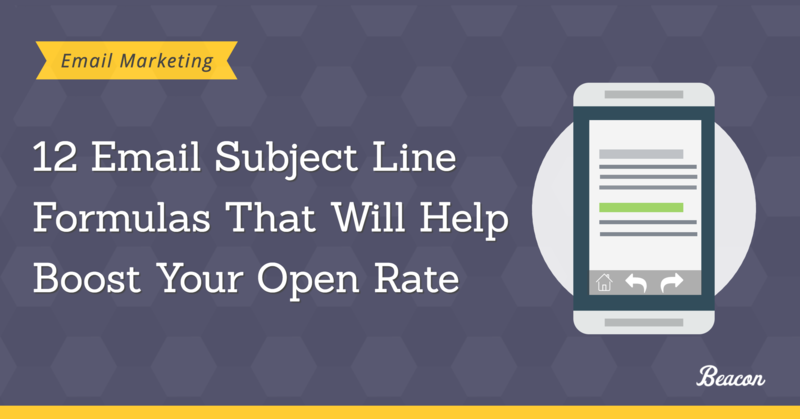 Example: Are you struggling to write compelling subject lines? You know: questions have an incredible power to attract our attention. It doesn’t matter what you do, and how focused you are on the task. The moment your mind realizes that someone’s asking you a question, it’ll switch attention to it. And it’s no different with email subject lines. Question-based subject lines compel a reader to find out the answer. But here’s the trick – questions you ask in the subject line should always focus on your subscribers’ curiosity, self-interest, and needs. Only this way, you’re able to capture their attention and convince them to read the email. I’m sure you’ve heard this old sales adage already – benefits sell. And it applies to subject lines too. Openly stating the benefit of reading your email can help you connect with the email list and significantly increase your open rates. Example: Check out email formulas that helped 65% of marketers boost their open rates. Social proof is an incredibly powerful factor in every decision we make. I wrote at length about the mechanics of social proof in marketing in this article on AdEspresso last year, and I strongly recommend you read it before using this formula. Social proof works because whenever we’re unable to make a decision, we look at what other people do, assuming that their actions are correct for the given situation. And we simply imitate their behavior. And you can use that trait of behavior to convince your subscribers to open and read the email. Example: SME Owners: Struggling With Low Email Open Rates? Sometimes the simplest way to engage the audience is by convincing them that your email is relevant to them. And that’s what this formula helps you achieve. It expands on two other formulas – question and benefit – by defining the audience of your email. This formula captivates a person’s attention by promising the discovery of a quick solution to their problem. You can create it by adding the verb “discover” at the start of a Benefit or How-to formulas. And there’s really nothing else to add. List headlines work. Full stop. Example: What you don’t know about writing emails that sell. In other words, once something arouses our curiosity, we won’t stop until we satisfy that craving for information. And you can use it to compel subscribers to open your emails. But remember – your subscribers don’t like to be cheated. When using curiosity gap, make sure that your email delivers on the promise you’ve made in the subject line. Sometimes, it pays off to be direct – state the proposition clearly, without any wordplays, copywriting tricks, or puns. This formula comes particularly handy if you simply want to announce something to your list – a new post, website update or an upcoming event. Example: Last chance to save on your conference tickets. The goal of using urgency is to make your subscribers think differently about opening the email. Instead of procrastinating, you want to motivate them to act now. But there’s another benefit of using urgency – it helps prevent subscribers from over-analyzing the value of your email, and acting on it without thinking. Because you see, when presented with something urgent, we stop thinking and begin to act on impulse. This is an another formula that attracts attention by targeting both your subscribers’ curiosity and anxiety. By playing on the negative, you can entice someone to click the email. But just like with the curiosity gap formula – always make sure that your email delivers on the warning. Twelve email subject line formulas that will help you boost open rates, and convince more subscribers to read your emails. This entry was posted in Content Marketing, Lead Generation. Bookmark the permalink.